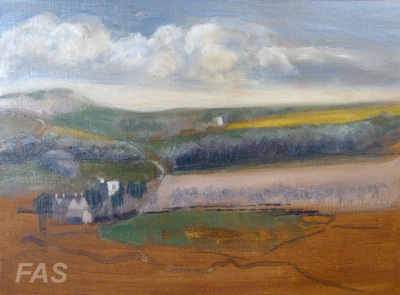 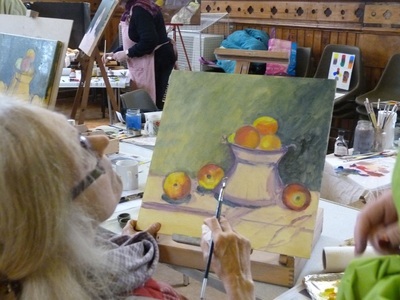 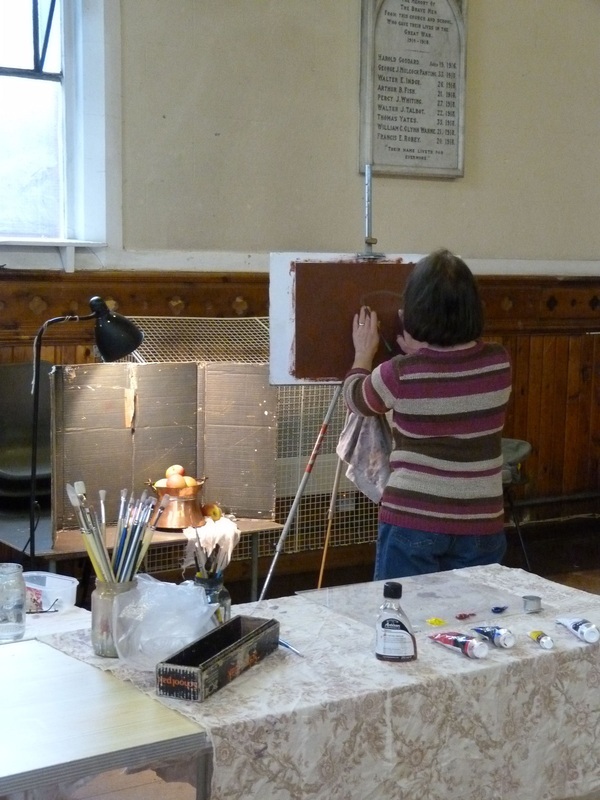 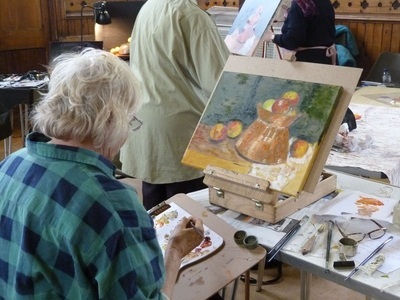 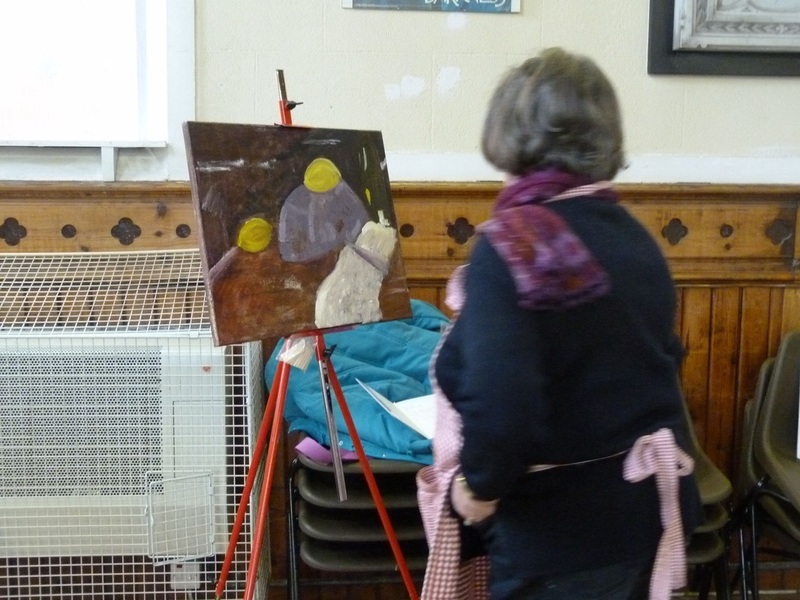 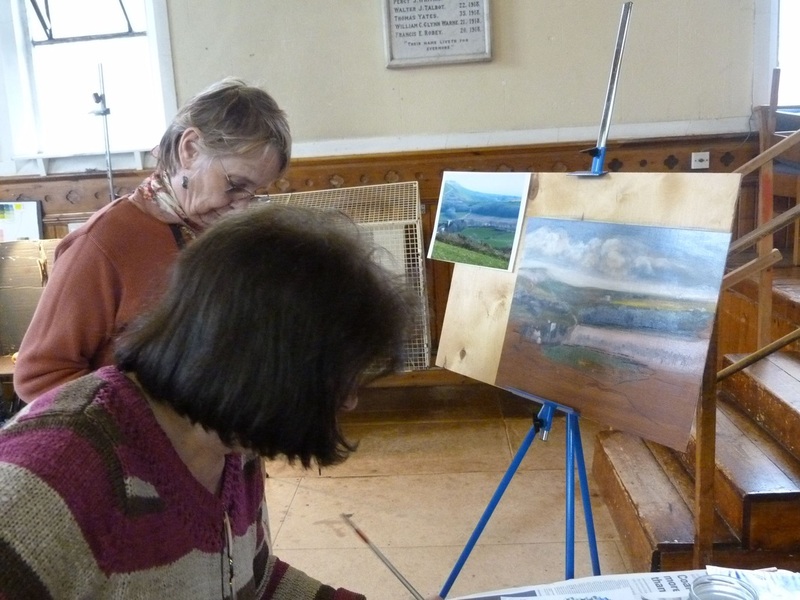 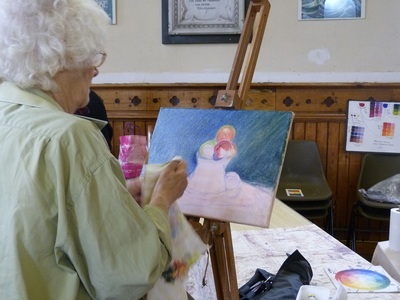 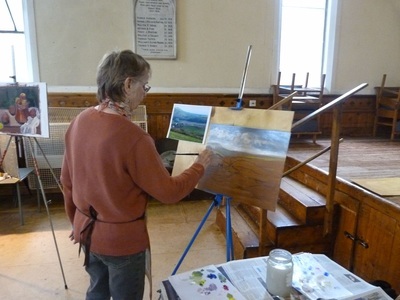 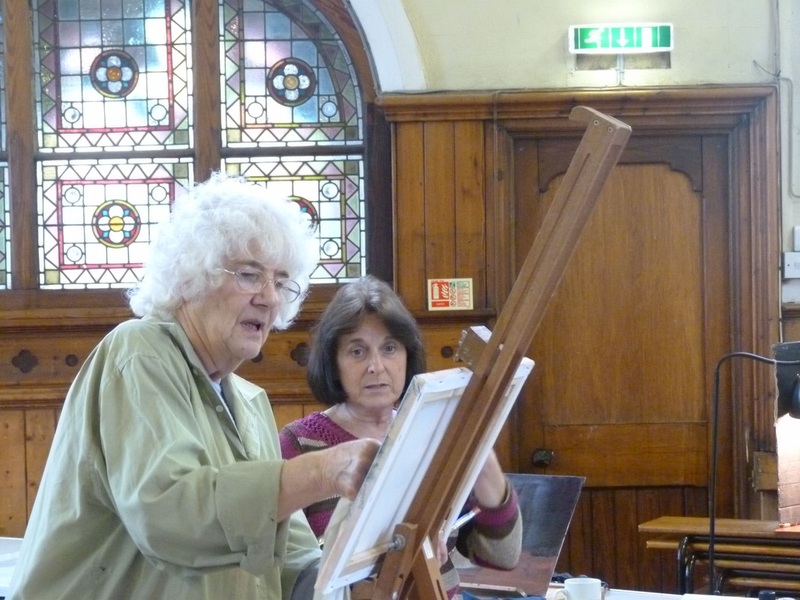 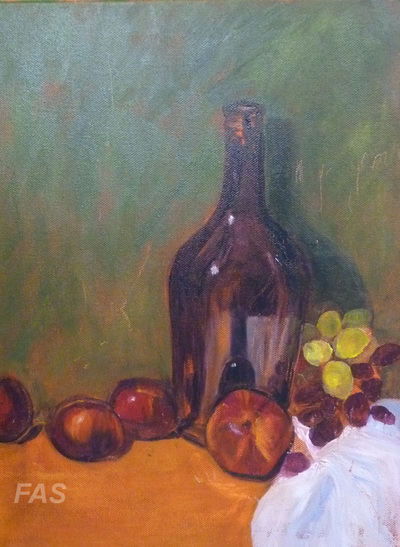 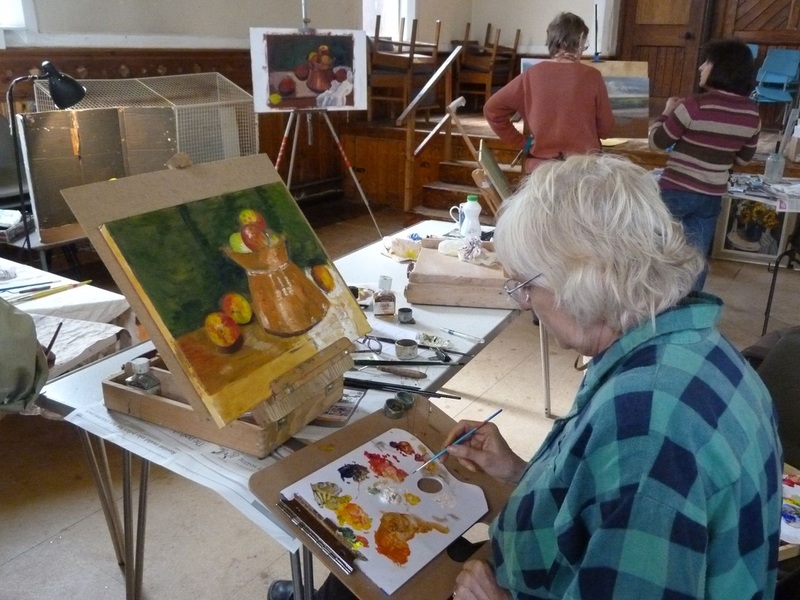 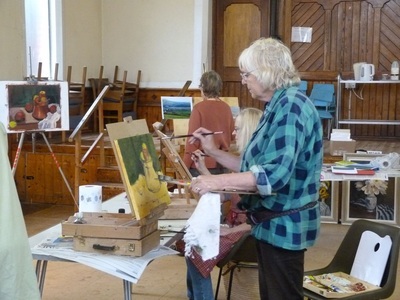 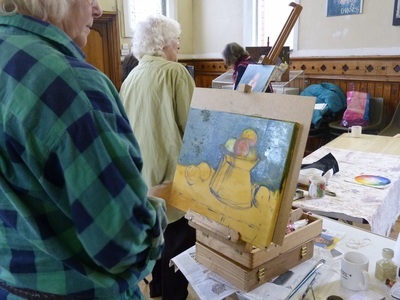 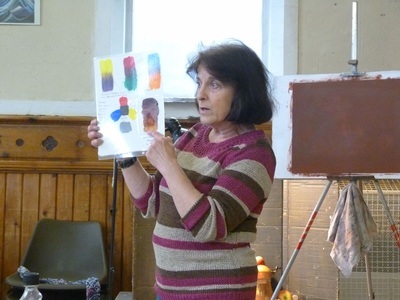 On a wet and grey Monday in April, 8 members attended an oils workshop with Christine Russell. 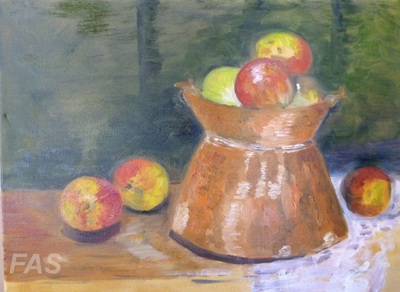 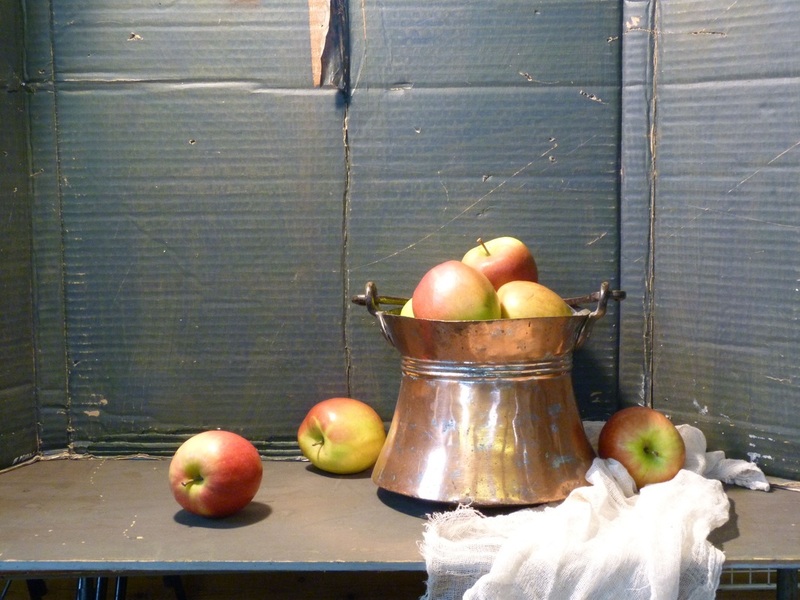 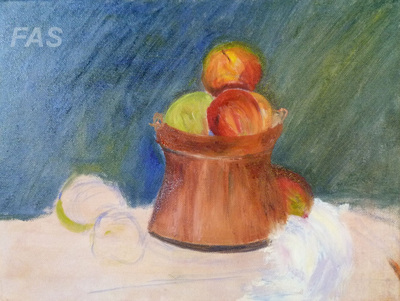 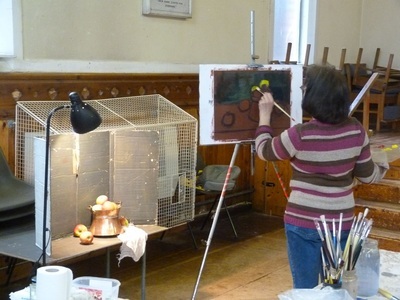 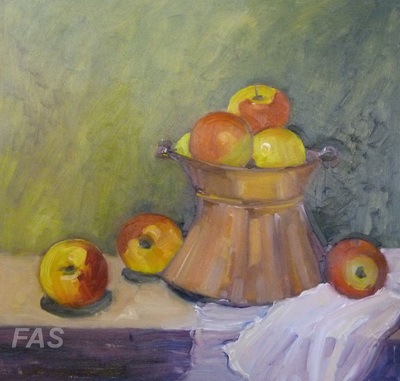 The workshop started with Christine demonstrating techniques by painting a still life of a brass bucket and apples, then it was our turn. 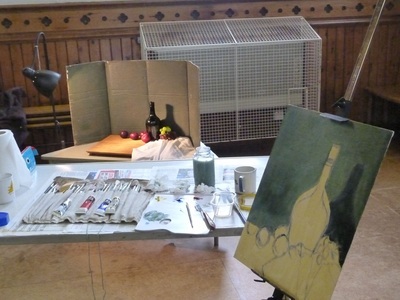 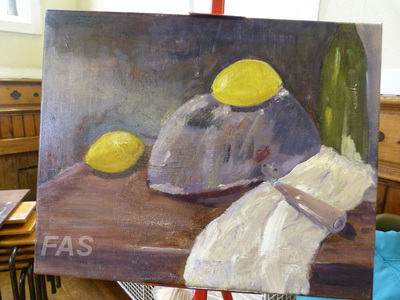 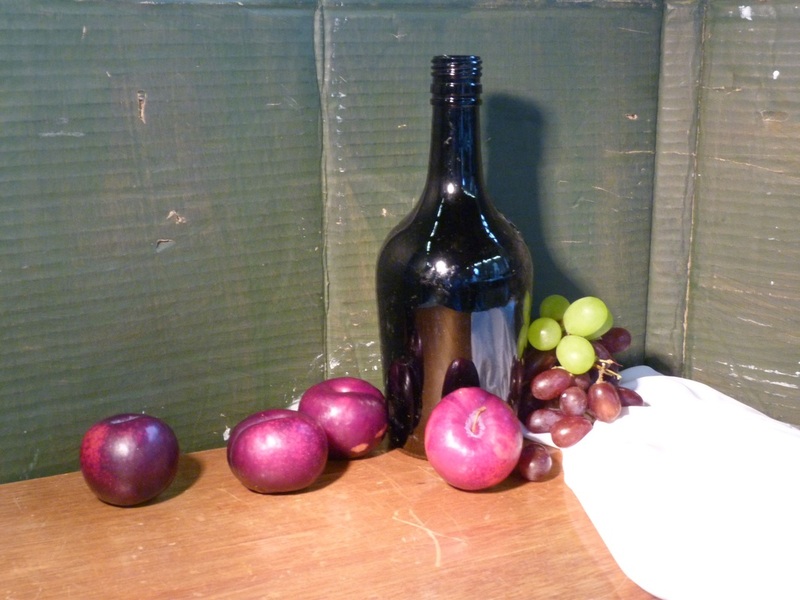 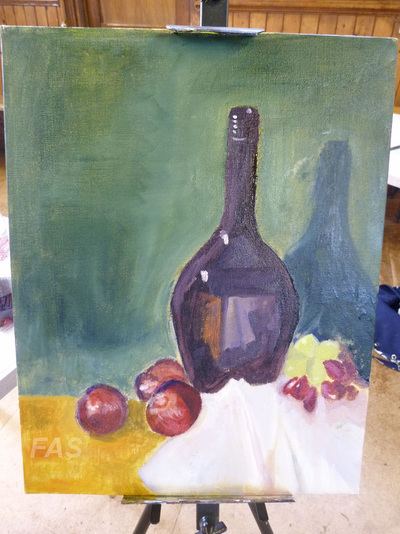 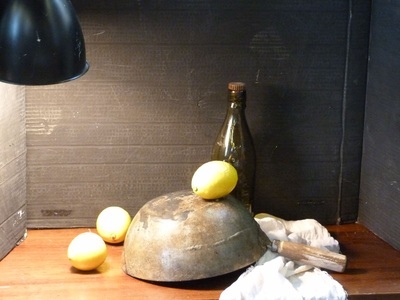 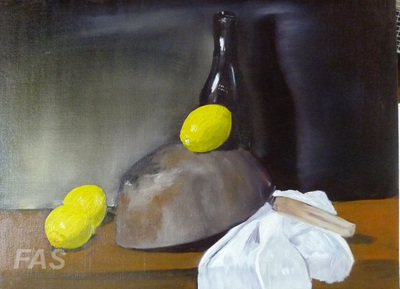 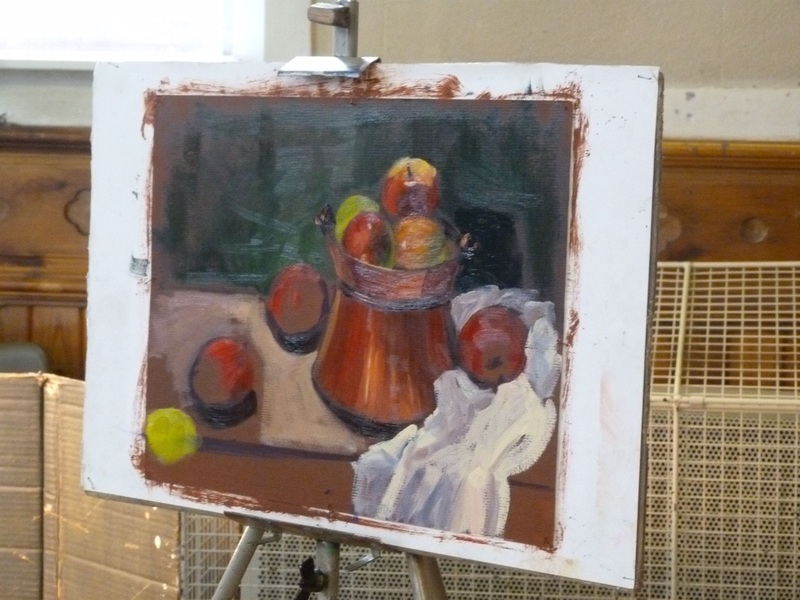 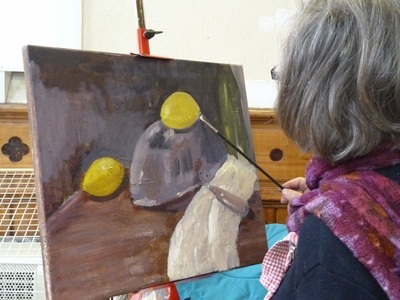 Christine had provided 3 different still life compositions for us to choose from or we could paint a landscape from a photo; below you will see photos of the our works in progress and the still life we were aiming to recreate.